Don't start the school year off without this book! Learn how to be your child's best advocate! Your child should have an Individual Education Program (IEP) set up at the beginning of the school year -- you must get this done ASAP. My guide will help ensure that your child gets the resources they are legally required to get -- but that most schools will not supply unless you know your rights and stand up for your child. You may not even be aware of the terrible psychological and life changing negative effects that bullying can have on your child. There are many sad reports of teenagers actually committing suicide due to relentless bullying. A recent national study shows that 9% of all students (not just those with AS) had suicidal thoughts due to bullying -- and the percentage for AS students is likely much higher. At the very least, bullying will cause anxiety and depression in your child. 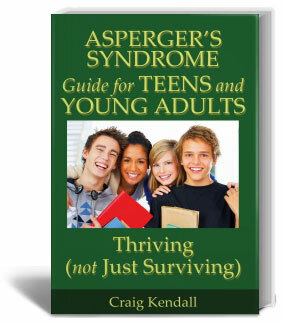 Studies show that over 90% of teens with Aspergers are bullied!